TAVARES, Fla., Dec. 1, 2015 /PRNewswire/ — “Ruggie Rules,” the newest book by Ruggie Wealth Management Founder and President Thomas Ruggie, ChFC®, CFP®, shares important guideposts for planning for a secure financial future, whether you’re retiring “some day,” nearing retirement or already retired. It lays out 25 rules to help you feel more confident in choosing the right financial advisor to help you make financial decisions that really matter. “This book details why I believe it matters that you are intentional in picking an unbiased financial advisor who has a fiduciary responsibility to put your interests ahead of his or her own, addresses why I feel only 15% of investors should handle their own investments, underscores my opinion of the importance of a well-thought-out strategic financial plan created specifically for you, shines a light on how advisors are compensated and why that matters to you, and then ties all of these to a groundbreaking approach to financial planning that is all about taking action,” said Ruggie. Copies of the book, along with a free consultation, are available upon request by contacting info@ruggiewealth.com or calling 352.343.2700, or may be purchased on Amazon. “Our four-step Ruggie WealthCaresm approach to retirement explores where you are now, where you want to be in the future and gives you a roadmap for getting there,” said Ruggie, who in 2015 was honored as one of Barron’s Top 1200 Advisors, a recognition he earned for the third time. Additional recognitions include ranking among the nation’s 50 Fastest Growing RIA Firms by Financial Advisor Magazine, Top 100 Wealth Managers by Advisor One, and Top 100 Independent Advisors by Registered Rep Magazine. “Our WealthCare process looks at what you are trying to accomplish, what you have to work with, when it might make sense to make adjustments, and helps measure and report your progress. Everyone deserves the peace of mind that comes with having a good financial plan. You don’t want to outlive your money. 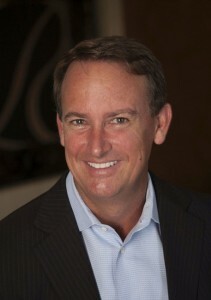 Tom Ruggie is the Founder and President of Ruggie Wealth Management, and has served the needs of individuals, small businesses and non-profit organizations in Central Florida since 1991. He is a Chartered Financial Consultant and CERTIFIED FINANCIAL PLANNER™, who has been featured as a financial expert in the Wall Street Journal, the New York Times, Investment News, Business Week and on CNN Money, Fox Business and more. Click here to learn more about how to get your copy of Ruggie Rules.